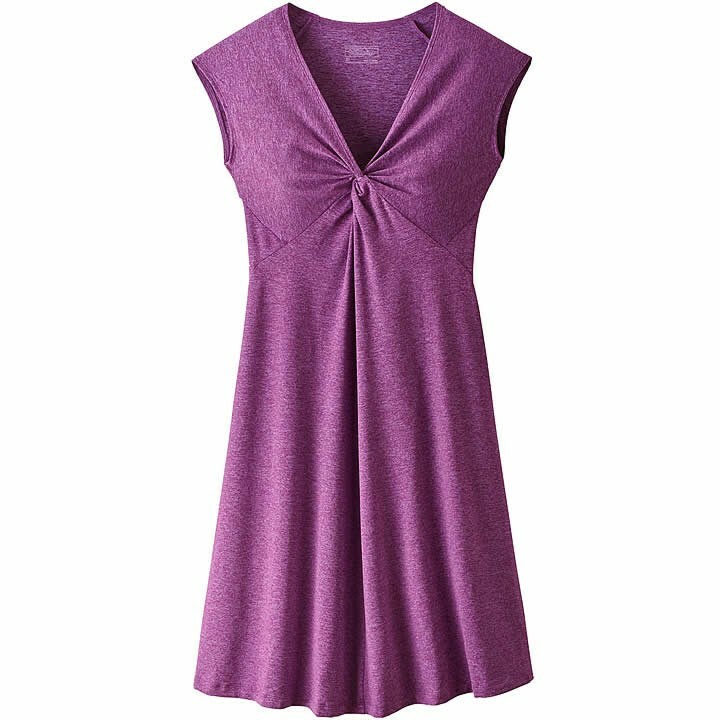 The Seabrook Bandha Dress is suitable for a post-yoga cover-up or dancing on the deck of the palapa; its 89% recycled polyester/11% spandex mossed cross-dye heather jersey-knit fabric offers moisture-wicking performance. Fair Trade Certified™ sewing. I already own 3 versions of this dress that I have purchased over the years. So excited they are making it again. I ordered it in medium July 2018 -- the same size as my previous dresses. But it is definitely too big and I am returning it for a small. Their fit finder recommended I order a small initially, but I went with medium based on my previous purchases. I should have trusted their size recommendation!